If you are looking for a faster and safest way to fight acne then you must definitely buy the tea tree oil from the house of The Body Shop as it is a cult favorite product of many users. It is made from real tea tree leaves that treats acne and fades acne scars, blemishes. So whenever you break out just dab a few drops of tea tree oil and with hours you will notice clearer skin. For those sudden breakouts (that appears before some big event, keep this tea tree oil handy! If you find your skin dull then you should definitely invest in the Vitamin C glow protect lotion that will brighten your skin and give a healthy finish to your skin. The good thing about the lotion is that it has SPF 30 that will protect your skin from UV rays damage. Vitamin C is a power boosting antioxidant and works to repair and revive dull, damaged skin and also fights against free radicals if paired with a sunblock! 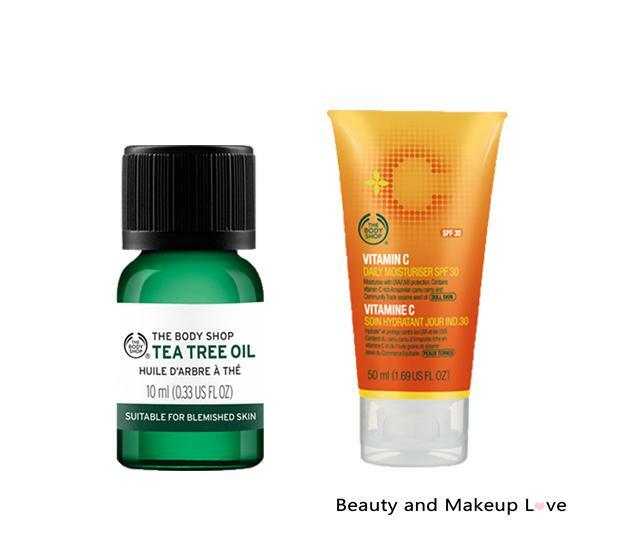 Dry skin beauties would love the The Body Shop Vitamin E moisture cream that claims to leave the skin satin-soft. The cream is feather light and is power packed with Vitamin E that locks the moisture content in the skin. Also, the cream absorbs into the skin quickly that will prevent clogging of pores. Tip: You can use the cream as a makeup base too. 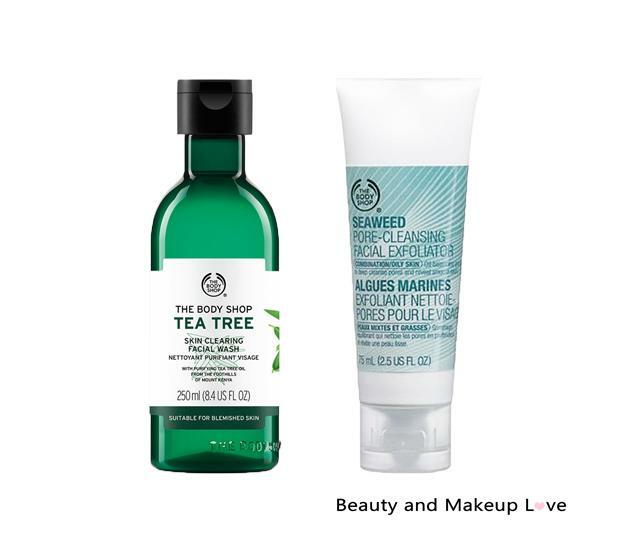 Oily skin ladies can give a shot to the top rated tea tree facial wash which absorbs the excess oil from the face and protects the skin from breakouts. Your skin will feel refreshed, clean and over a period of time, the blemishes would fade off. It has a strong tea tree fragrance that might trouble sensitive nose, but otherwise the face wash is up to the mark and a value for money product. 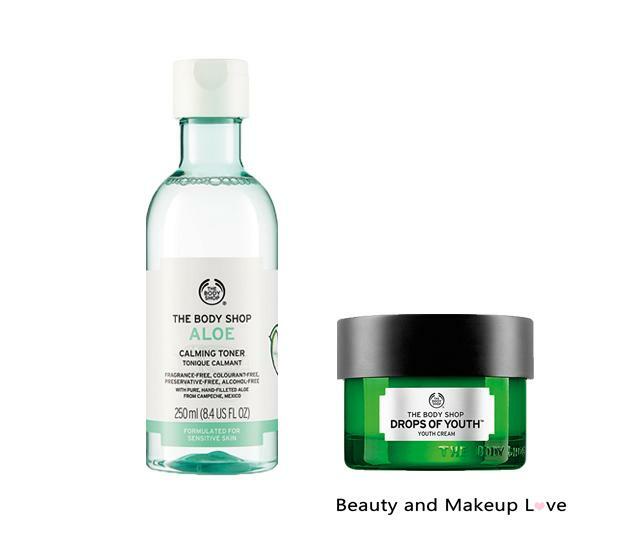 This is one of the best products from the house of The Body Shop! This is regarded as one of the best Facial Exfoliators that sloughs the dead skin cells, debris, grime and rejuvenates the skin deeply. The tiny beads are super gentle on the skin and wouldn’t cause any irritation or inflammation to the skin. Also, it is quite effective on combination skin, sensitive skin, so go grab this exfoliator and say goodbye to blackheads, dull skin. If you are looking for a cream that provides good hydration and plumps up your skin, then you should try the TBS drops of youth day cream. 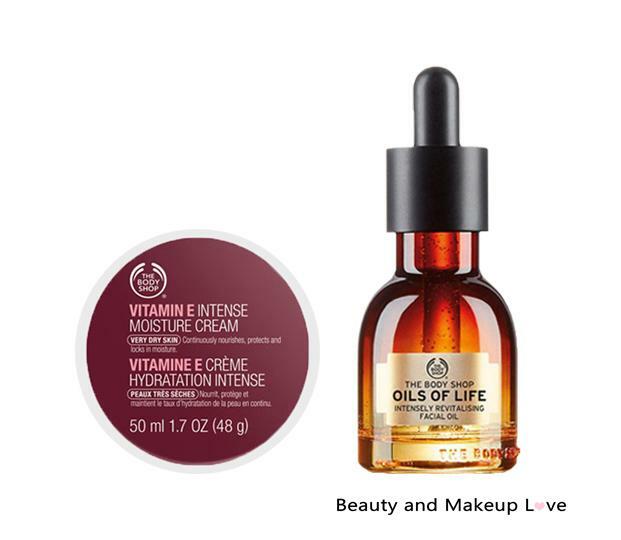 It focuses on tightening, moisturizing the skin and fading fine lines and wrinkles. The texture of the cream is light and absorbs easily into the skin. The best thing about the cream is that it gives 24 hours hydration, apply it at night and wake up to baby soft skin or apply it in morning and get the feeling of soft, smooth skin till you sleep! Tired with your dark circles, puffy eyes? 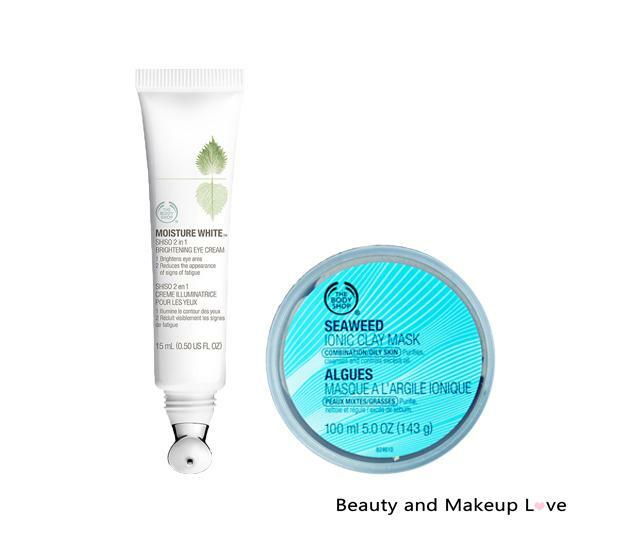 Then we recommend you to try the most raved brightening eye cream that comes with a microcirculation massager which helps in soothing the delicate eye region and gives a rejuvenating experience. The cream will boost the blood circulation that will brighten the eye area as well as keep it super moisturized throughout the day. Seaweed is packed with minerals, vitamins that will keep your skin youthful and healthy and this clay mask is a sure winner. It is an oil balancing clay mask which has negative ions that throw out the impurities, dirt from the pores and gives a refreshing feeling. So if you have oily or combination skin type, then this clay mask is definitely for you. Apply it twice a week and have a clean and brighter complexion. 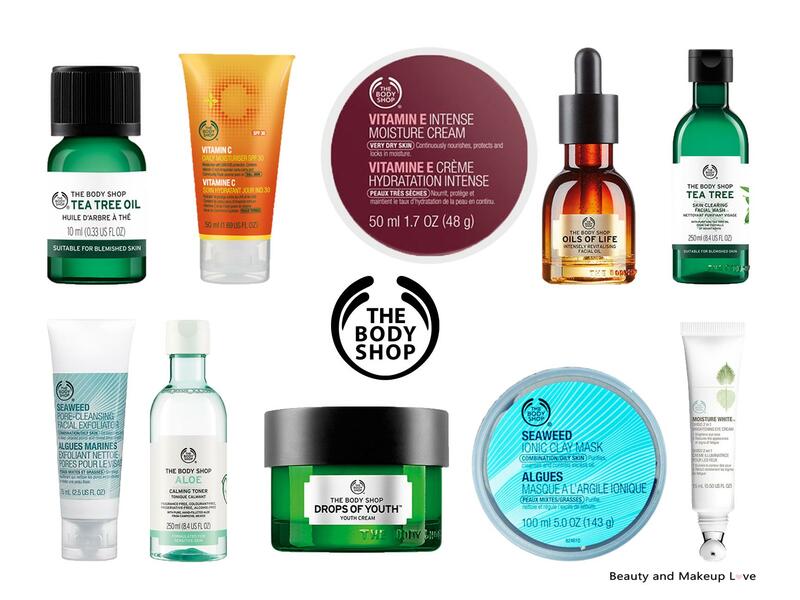 We hope this post helps you pick the best-selling The Body Shop skin care products. Do let us know which of these is your favorite skin care products.